Skillnets calls for businesses in South East to build management capacity to remain competitive. Business leaders from across the South East gathered in Kilkenny this week to explore how best to build greater management capacity within their businesses. The gathering took place in the Lyrath Estate Hotel, Kilkenny at a learning and development conference co-hosted by Waterford Chamber Skillnet, County Tipperary Skillnet and Carlow Kilkenny Skillnet. Over one hundred delegates from small, medium and large enterprises in counties Carlow, Kilkenny, Waterford, Wexford and Tipperary attended the conference. Paul Healy, Chief Executive of Skillnets, opened the event and urged businesses to avail of the support available to them to build management expertise through their local Skillnets-funded training networks. 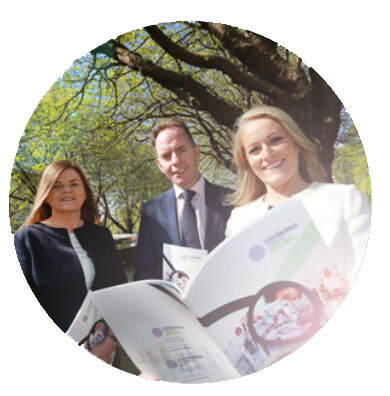 “Skillnets provides funding to over sixty training networks; they in turn provide learning and development expertise, subsidised training and networking opportunities to businesses throughout Ireland. Enhancing management capacity, particularly in SMEs, is a national policy imperative and a major priority for Skillnets and its networks. The key topics on the day were leadership, coaching, succession planning, programme design and the use of technology to support learning. Delegates enjoyed case study presentations from local businesses including Mick Kelly, Simply Workflow, Carlow; Kevin Clonisk, Abbott Vascular, Clonmel; Helen Barry, Simplify HR (previously with Lake Region Medical), Waterford; and Ann O’Mahony, Morgan McKinley, Waterford. Also speaking at the event were Mícheál Ó’Leary, Irish Management Institute; Richard McCarthy, OMT Global; and Diarmuid Ryan, DPR Associates. The conference was chaired by journalist and broadcaster Karen Tomkins. Grace Power, Learning and Development at SE2, who attended the event, had this to say. “It was great to see so many businesses in the South East attending an event like this and sharing their experience. It suggests to me that business owners and managers in the region are ambitious about the future and are looking for ways to build their management teams.”You can find out more about the support provided by Skillnets to businesses in the South East by visiting the Skillnets website at www.skillnets.ie or by contacting your local Skillnets network. Waterford Chamber Skillnet, County Tipperary Skillnet and Carlow Kilkenny Skillnet are funded by member companies and the Training Networks Programmes, an initiative of Skillnets, funded from the National Training Fund through the Department of Education & Skills.